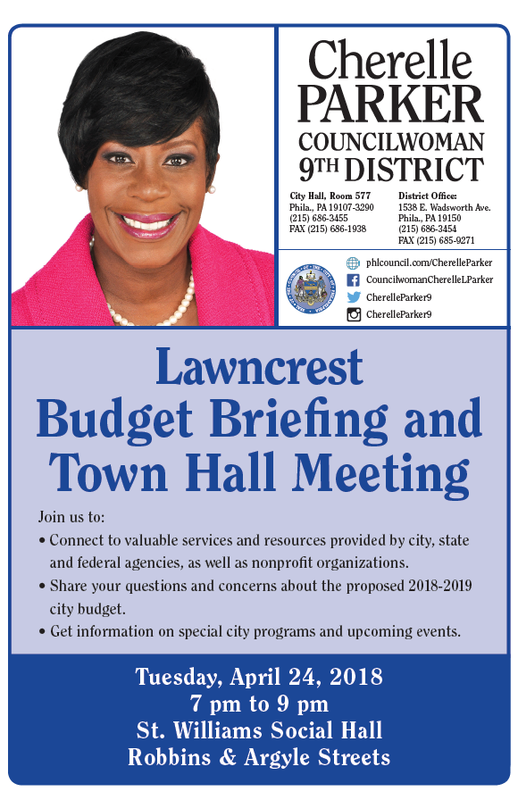 Join Councilwoman Cherelle Parker for her fourth Budget Briefing and Town Hall meeting for the 9th District. Many vendors will be in attendance connecting residents to valuable services and resources provided by city, state, and federal agencies, as well as nonprofit organization. Solarize Philly will be in attendance; if you are a homeowner interested in going solar, speak to our representative at the meeting.